5. This lamp is brighter than normal sodium lights, 1W LED chip brightness as 5W of normal sodium lights. 6. It's convenient for transportation and high safety. 1. LED light, solar panel, lithium battery and controller,all in one compact design. 3. Built-in infrared sensor,can adjust the light output automatically. 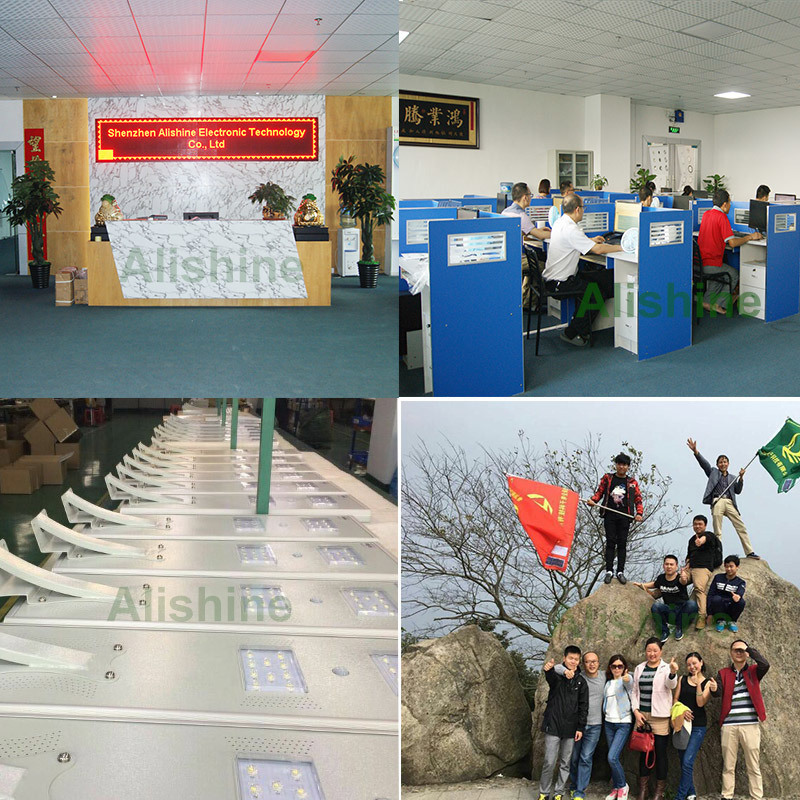 Shenzhen Alishine Energy Technology Co., Ltd was Established in 2016, in one group with ShangqiÂ Â company established in 2004, our factory is located in ShenZhen, China, with convenient transportation access, Covering an area of 4000 square meters, we now have over 94 employees, our company own professional R&D team and sales team, Our well-equipped facilities and excellent quality control throughout all stages of production enable us to guarantee all customer satisfaction. 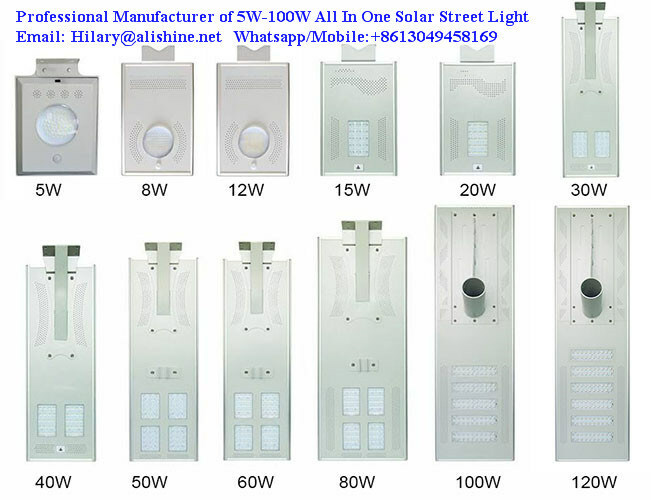 Our main products are integrated solar street lights, solar garden lights, all in one solar street lights, solar yard/apple/peach lights, semi-separate solar street lights, etc. All of our solar lights have approved CE ROHS IP65 LVD IEC EMC and IES Certificates. 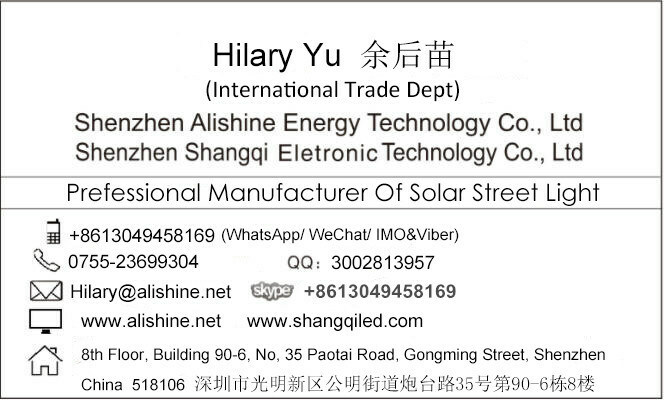 Our products have been sold over 60 countries and our company brand--"Alishine" awarded aÂ lots of reputation. If you are interested in any of our products or would like to make your import business more easily, please feel free to contact us by Mobile:+86 13049458169. We are looking forward to forming successful business relationships with new clients around the world in the near future. 2. Well-trained and passional sales &Â after- sale services,we can do everything to meet your needs. 4. Shipping port: Shenzhen,China mainland. 5. SAMPLES are prepared.Discouts are offered based on order quantities. 1. 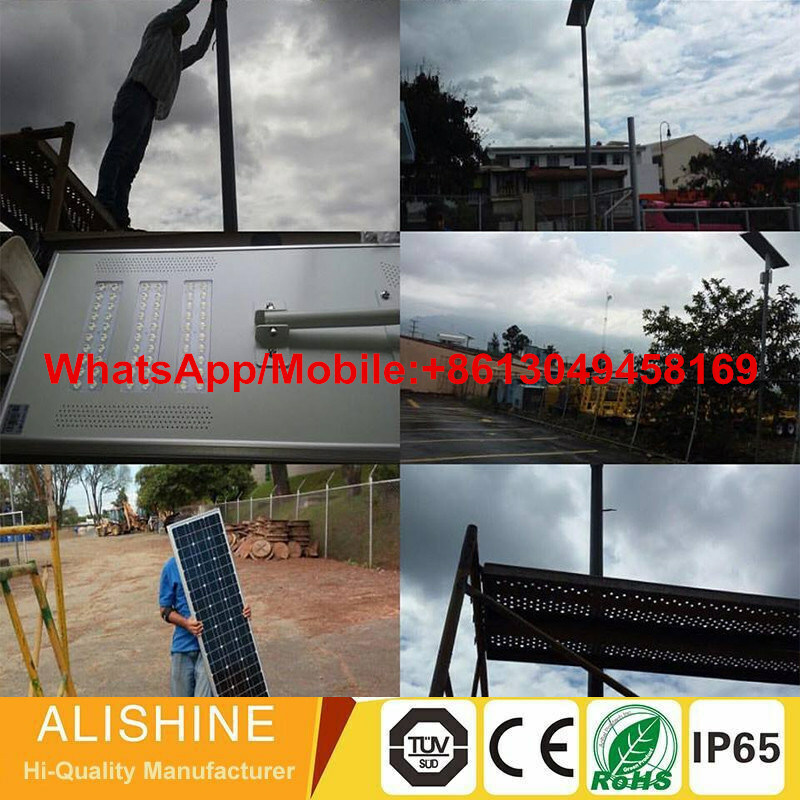 About 13 years specializing in solar lighting system. 3. Strict process and quality control. 4. Good raw materials used in production. 5. Strong design and production capability.